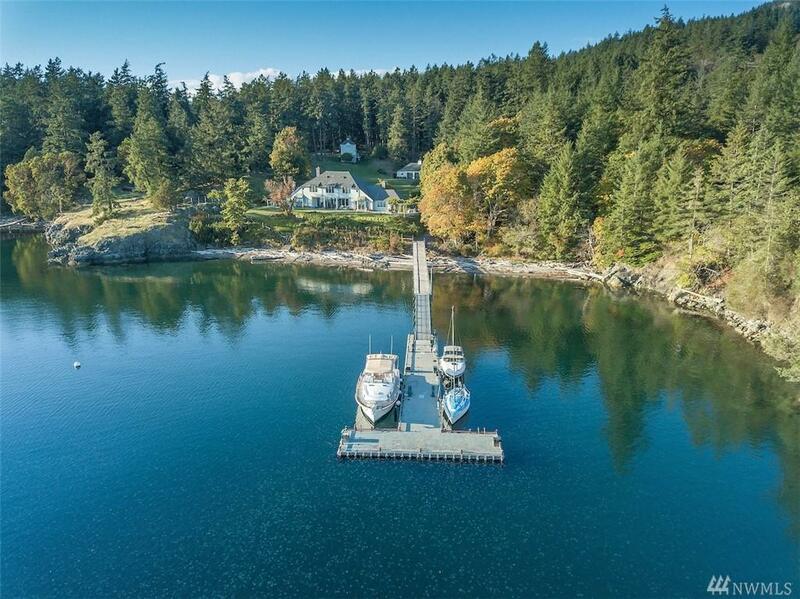 Arrive to your 23 acre West Sound estate by float plane or yacht to one of the largest private deep water docks in the county with 222' of moorage & a buoy. 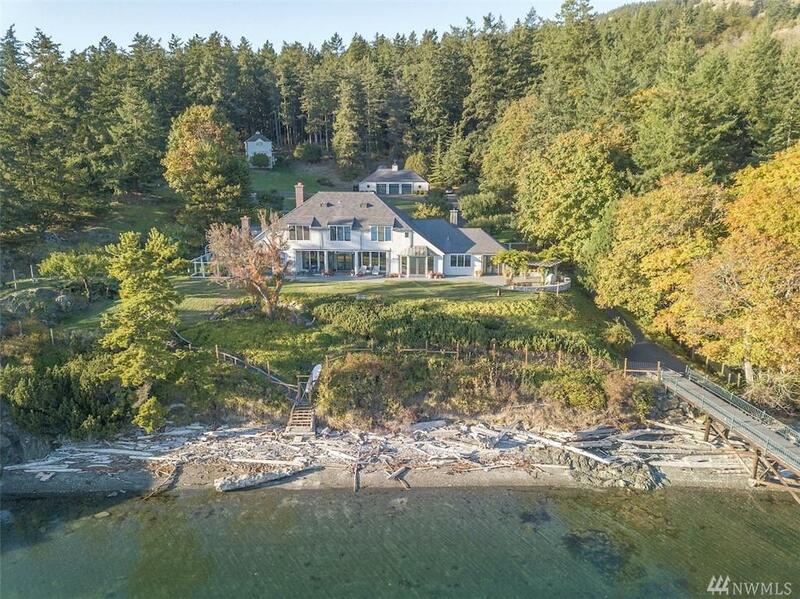 The 5200 sf, 4 bedrm/4.5 bath main house designed by renowned Portland architect Norman Zimmer, features an expansive great room w/ French doors opening to sunny patios just above 550' of cove beach. The chef's kitchen is flanked by breakfast & formal dining rooms. 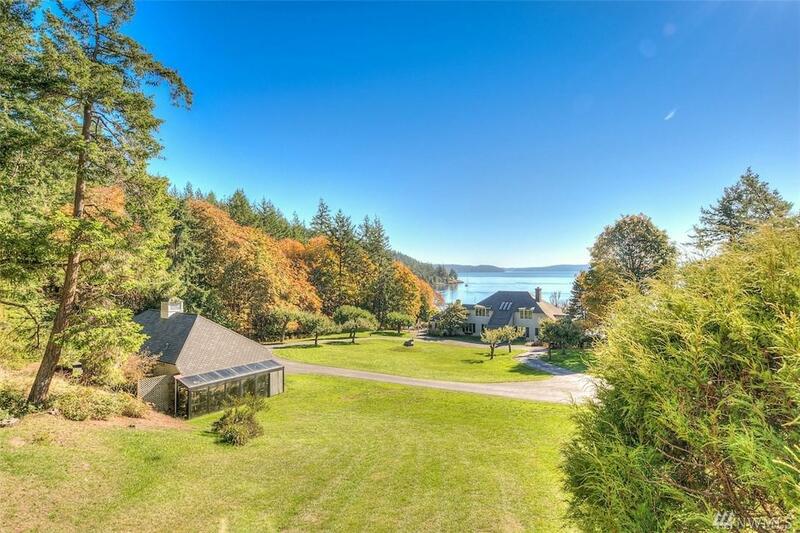 Conceived for entertaining with a 2 bedrm guest house & detached garage/shop.